This Acini di Pepe Salad is a summertime staple. The acini de pepe pasta provides a wonderful texture to this sweet and delightful salad. 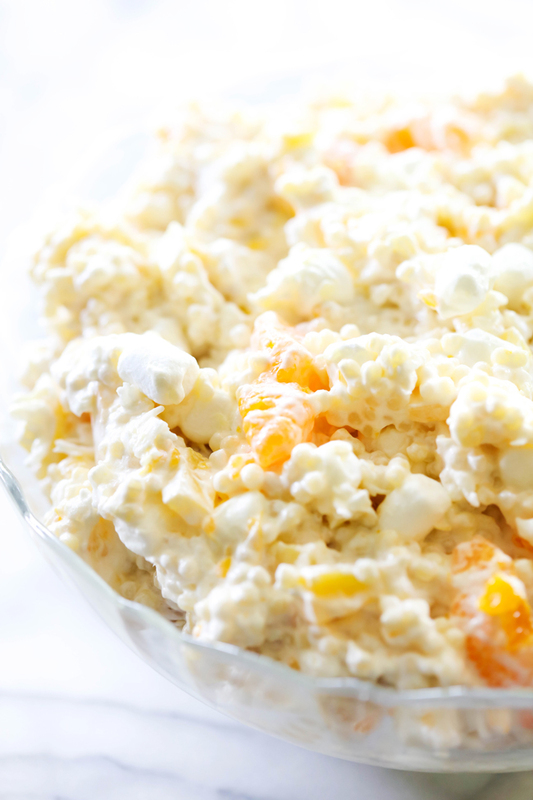 This creamy salad is loaded with mandarin oranges, pineapple, coconut and marshmallows, this side dish is the perfect recipe to accompany any potluck or get together. 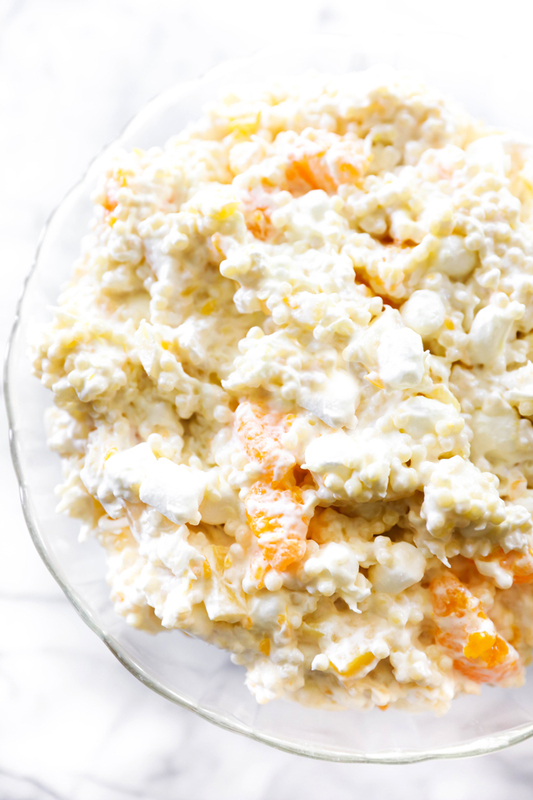 This Acini di Pepe Salad has been a staple at almost ever family gathering since I can remember. It is known by a couple different names, one of them being, Frog Eye Salad. The little acini di pepe pasta adds such a delicious and enjoyable texture to the salad. The salad is loaded with mini marshmallows, mandarin oranges, pineapple and coconut. It is fruity, creamy and completely addictive. This is one of the most requested summertime recipes for a reason. I HIGHLY recommend trying out this recipe. In a sauce pan, combine sugar, flour, salt, pineapple juice and eggs. Cook over medium heat until thickened. Remove from heat and add lemon juice. Set aside to cool. Cook acini di pepe pasta until al dente, about 8 minutes. Rinse under cold water and drain.